Full disclosure: I love oatmeal and have a bowl every morning when I come in from riding my bike. 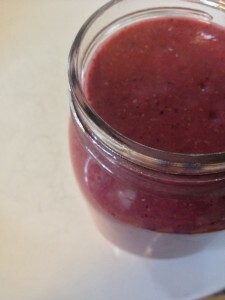 Great with blueberries, broken walnuts, chia seeds, hemp seeds and light brown sugar. Q. How do cereals like oatmeal reduce LDL cholesterol? To what extent does oatmeal lower cholesterol? 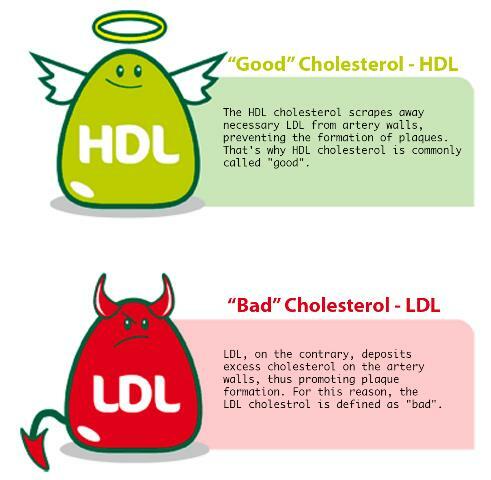 A. Helen Rasmussen, PhD, a senior research dietitian in the Metabolic Research Unit at the HNRCA, answers: “The soluble fiber in many fruits, vegetables, and grains – called soluble because it dissolves in water – is known to slightly lower blood levels of “bad” LDL cholesterol. “Normally, the liver uses cholesterol to make bile acid, which helps to break down dietary fats in the small intestine. After the bile is finished doing its job, the body recycles it. However, soluble fiber prevents bile from being recycled. In response, the liver grabs more cholesterol from the bloodstream and uses it to make bile. 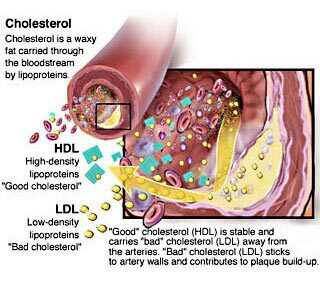 “Studies suggest that soluble fiber can lower LDL cholesterol slightly. According to one study, adding 3 grams of soluble fiber from oats (3 servings of oatmeal, 28 grams each) to your diet can reduce your cholesterol by a few points – for example, from 100 to 97 milligrams per deciliter.So, if your LDL is significantly elevated, fiber alone won’t solve the problem. “But fiber is important for other reasons. Whole foods that people eat to get fiber are also nutritious in other ways. The benefits include increased insulin sensitivity and lower triglycerides. Regular readers know that I am a nearly daily bike rider here in Chicago. As such I read some cycling blogs, too. One of my faves is Loving the Bike. And, one of that blog’s regular contributors is Kelli Jennings, an Expert Sports Nutritionist who writes Ask the Sports Nutritionist. Kelli is not only a world class athlete, but also a first rate nutritionist who writes clearly and accurately about her subject. She recently wrote an item Green Ginger Grapefruit Smoothie that I thought would interest you. I hate to be a downer, but I’ve got some bad news. Grapefruits are tough to come by in the summer. The prices go up and they’re not as plentiful. I know, this likely ruined your Thursday. I guess the only thing to do is eat ‘em up, while you can. This week, we’ll review why grapefruits should be one of your go-to fruits and we’ll “wake it up” with a wonderfully refreshing grapefruit smoothie. 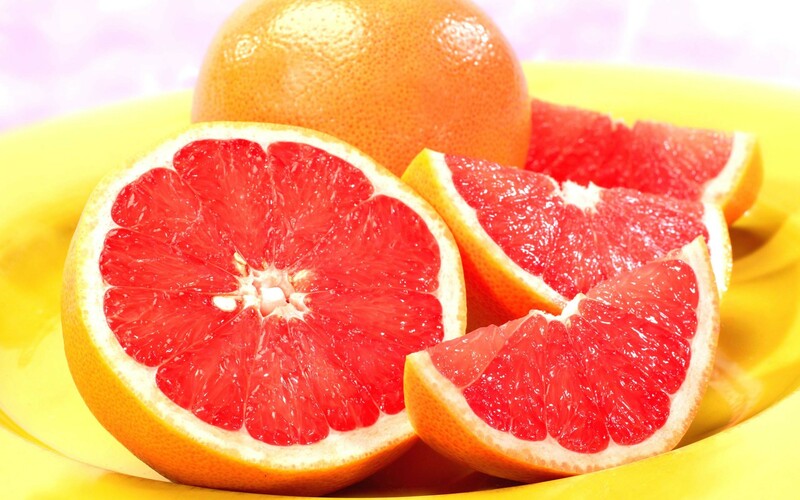 Grapefruits go above and beyond the nutrients of many foods, even other ones found in produce section. Did I mention they can help you lose weight? Bring on the grapefruits! Place all ingredients in the blender and process until smooth. Enjoy! Nutrition information: Approximately: 385 calories, 44 gm carbs, 11 gm fiber, 15 gm protein. 1) In the picture, this smoothie is obviously not green. I call it “green” because it includes a whole cup of green. The berries’ color overtake the green. Either way, it’s not easy being green, and it’s all good stuff. 2) This is not Jamba Juice. If you want your smoothie to taste like Jamba Juice, you’ll have to go there and pay for a smoothie much higher in sugar and processed ingredients. If not, I think you’ll feel refreshed and satisfied having started your day with some ginger, greens, and grapefruit. I know I do!